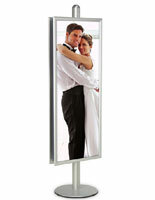 This snap frame displays a 24" x 36" on either side of the display. 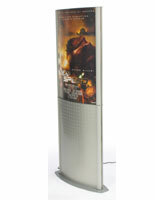 Need a poster stand that will remain stable and will not falter? 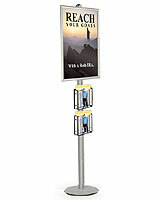 Then, this FORTE poster frame display stand is for you! 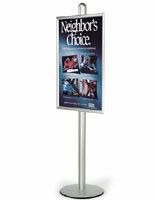 Built from a pole with sleek, aluminum construction and a solid, heavy base, this display stand features 2 snap frames. Each frame holds 24" x 36" posters or other signs. Arrange the snap frames, one on each side of the pole. 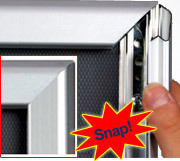 Your posters load easily into the snap frames and are covered by a clear PVC overlay. 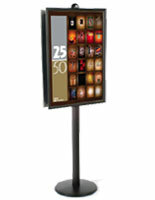 Use this poster frame display stand at trade shows, malls, or even department stores. 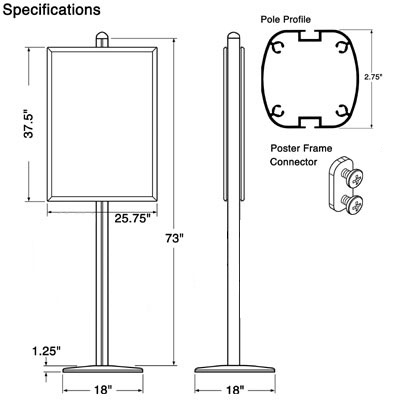 Standing 73" tall and weighing 25 lbs, the pole and base keep the display stand stable. 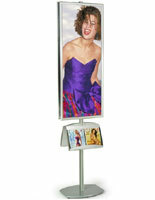 The FORTE display stand is perfect to use in high traffic areas because it can be seen from distance and over most crowds.